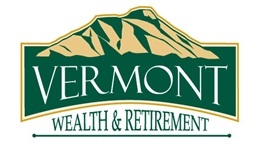 The Vermont Wealth approach is unlike other financial advisors. So what is the difference between a coach and advisor? Understanding Medicare is an essential part of your retirement strategy. Advisory Services offered through Hammond Iles Wealth Advisors dba Vermont Wealth & Retirement. Securities offered through Ceros Financial Services, Inc., Member FINRA/SIPC (Not affiliated with Hammond Iles Wealth Advisors).